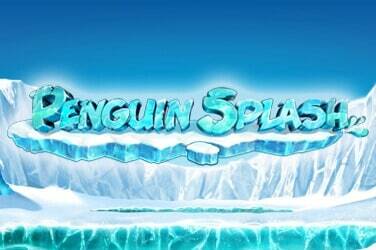 Microgaming has partnered with loads of different gaming studios to bring us the next best thing in online slots. And now it’s Rabcat’s time to prove its worth to Microgaming (and us) with the Crystal Rift Slot. A five reel, 25 payline slot that takes us exploring to hidden depths within dark caverns. But once we’re there, things start to light up, including our screens, our smiles and our gaming wallets. 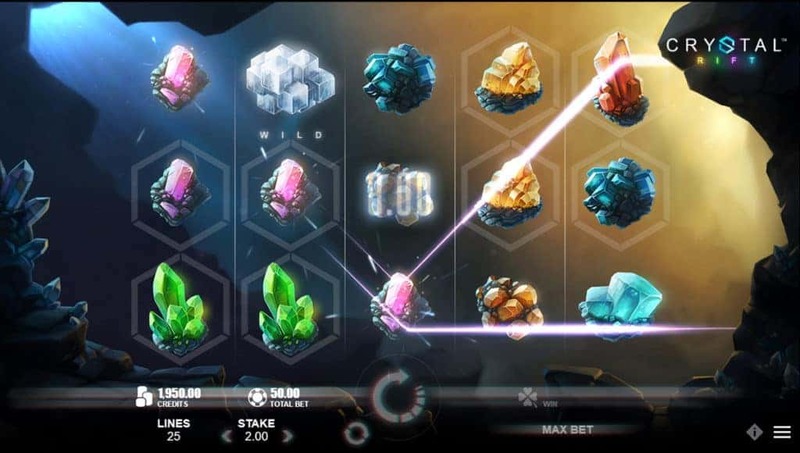 The name Crystal Rift Slot conjures up images of bright crystals lighting our screen. Which is exactly what we get on this effervescent slot from Microgaming. Set inside a massive underground cavern, the darkness lights up with eight different coloured crystals set against a transparent reel case. 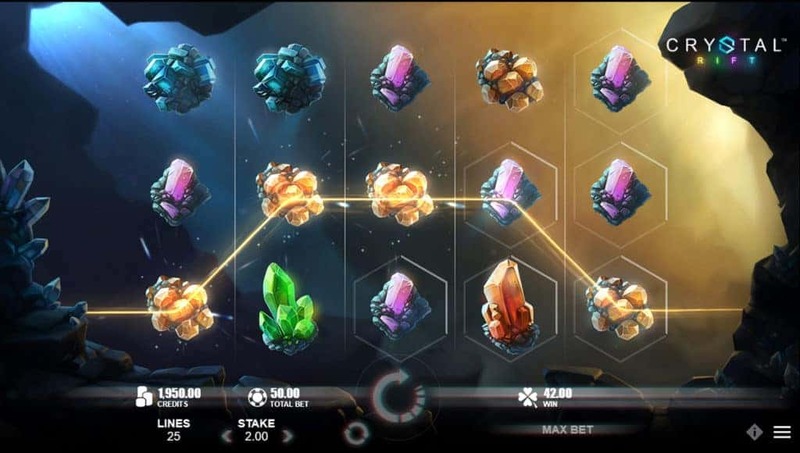 Each crystal has been deftly designed, they are not just repeated symbols in different colours that some developers are guilty of (we’re not going to name any names). 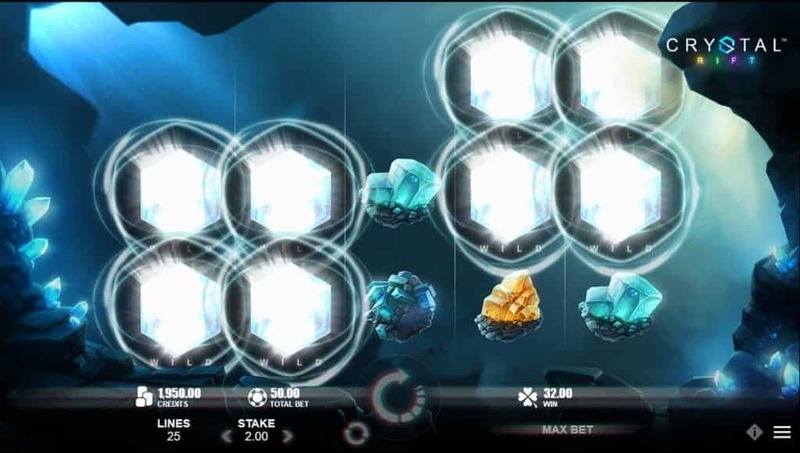 In Crystal Rift Slot, Microgaming has gone all out. 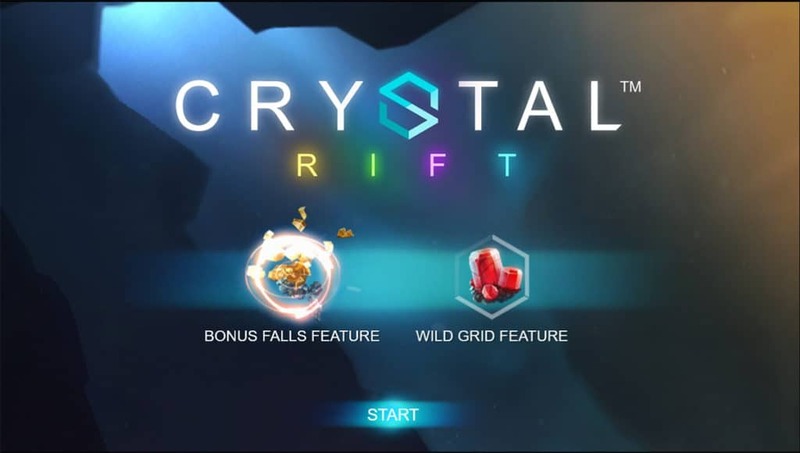 Getting our hands on crystals is a lot easier on the Crystal Rift slot than in real life, especially given the 96% RTP this slot boasts, giving us plenty of winning opportunities. The unique shape of each symbol, combined with the delicately designed background and soothing soundtrack make this subterranean experience so fun to play we’re not sure we’ll come back up to ground surface again. Crystal Rift does justice to its mysterious name in that it isn’t like an everyday slot. 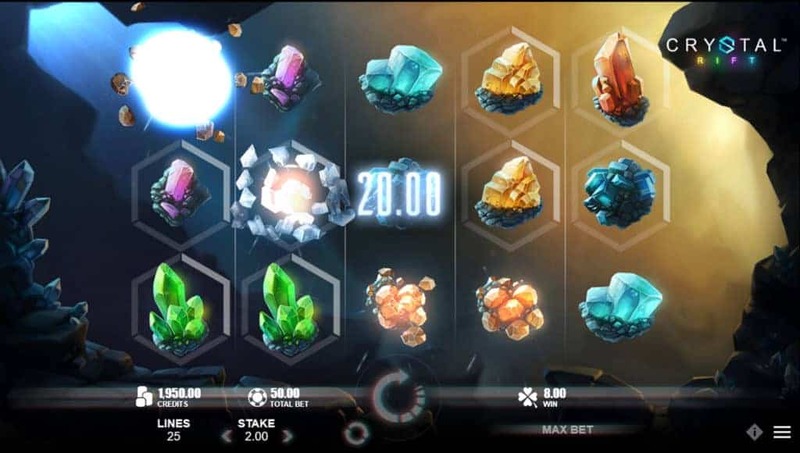 Microgaming wants to give us something different, so it does away with the traditional bonuses such as Scatter symbols and free spins. Instead, it replaces it with two unique features that more than make up for it. 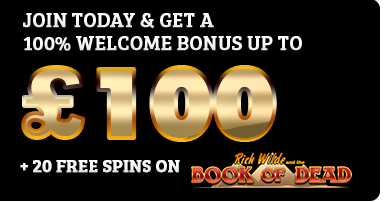 First up is the Bonus Falls feature, which is activated after every winning payline. As this slot is played on cascading reels, we can keep on getting those winning paylines as the cascading symbols fall into place. And as this is triggered quite often, our winning streaks can continue at pace. The second feature is the Wild Grid, which is randomly chosen before the start of each fall. It can consist of a number of spaces across the reels which will highlight with a glowing border. 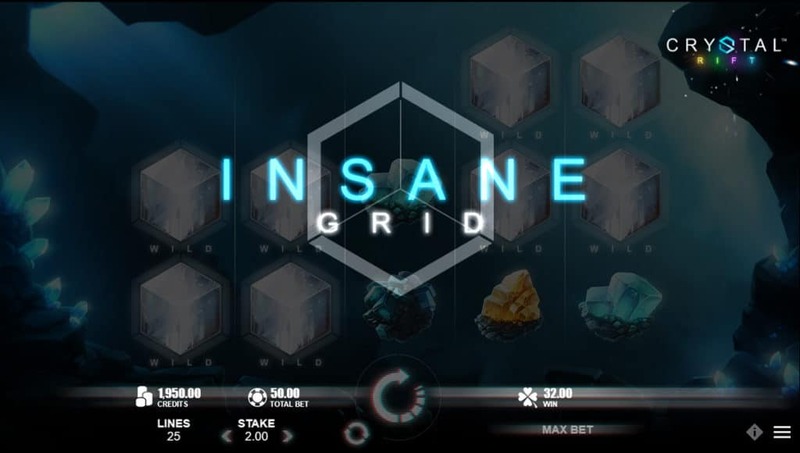 After three consecutive payline wins, the Wild Grid activates and all symbols within the grid turn Wild. 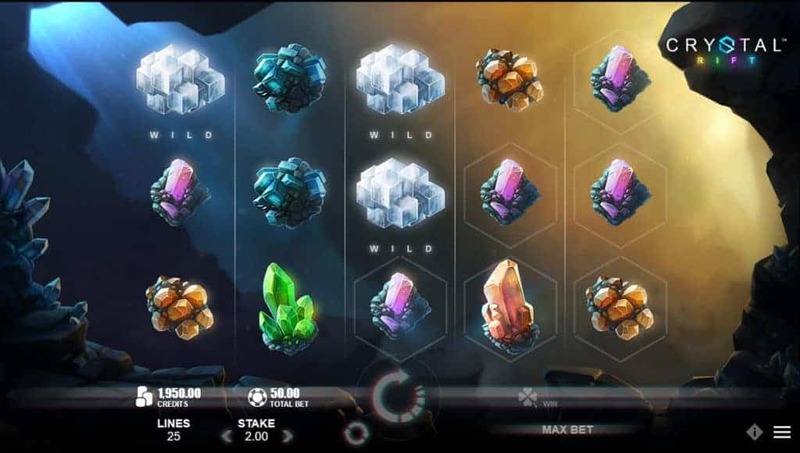 The cascading reels and Wild Grid work together to keep the winning combinations coming in and, as we build up our crystal collection, we almost forget what free spins are. Throw away your hard hats and hi-vis vests, you don’t need them to go mining on Crystal Rift. This is a subtle affair. Cool music, crisp graphics and two unique bonus features make hunting crystals in this underground an exciting and easy job. 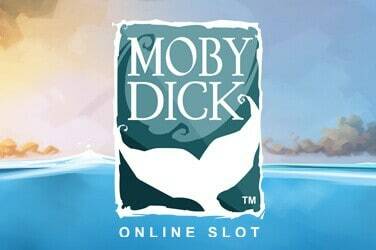 If you’re a free spins fan, don’t let that put you off. The two bonus features here are just as rewarding. Just take a trip down to the Crystal Rift Slot and see for yourself.